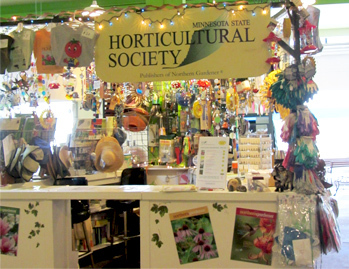 The Minnesota State Fair moved our retail/membership booth and our educational display a few years ago. You'll find us in The Dirt Wing, next to the north hall, in the Ag/Hort Building. The Dirt Wing is also the location of the educational stage. Don't leave the building without stopping in to say "hi!" The Fair is always a great time to join or renew your membership. 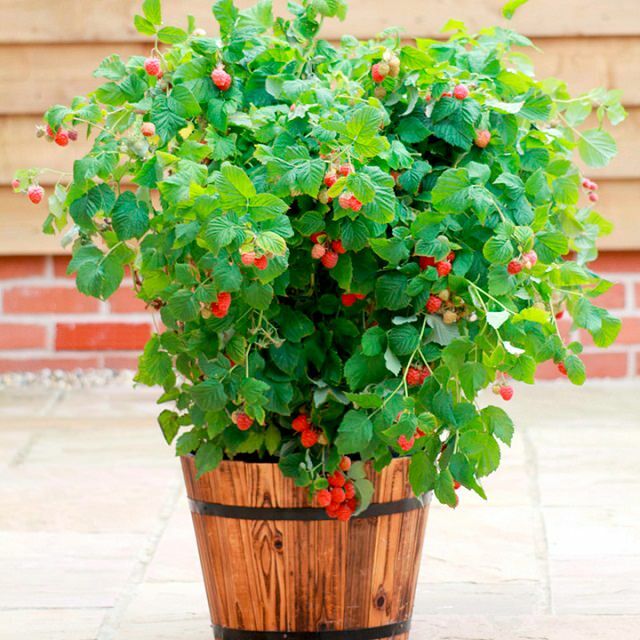 Our educational display this year is on growing edibles in containers—you may be surprised at what you can grow in a pot! 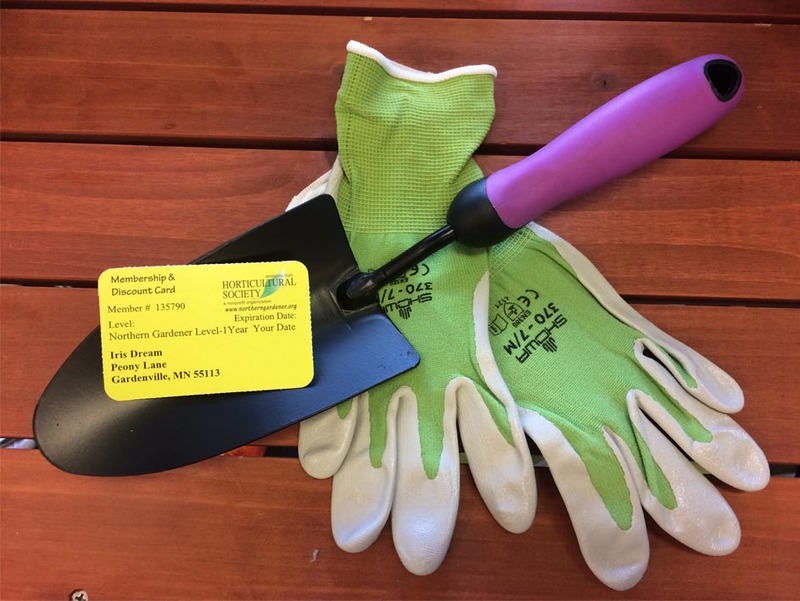 Every year at the MN State Fair, MSHS has a special membership offer; this year, fair patrons who renew their MSHS membership or become new members will receive an exclusive gardening gift. Memberships will be sold at our booth in the Ag./Hort. Building. Located in the Ag./Hort. Building, the MSHS educational display has lots of information to offer all levels of gardeners. Along with selling memberships at our booth in the Ag./Hort. Building, we will be selling a wide variety of t-shirts and gardening books, as well as gloves, garden gifts, hats and small tools. People who volunteer at the Fair for MSHS receive free admission. 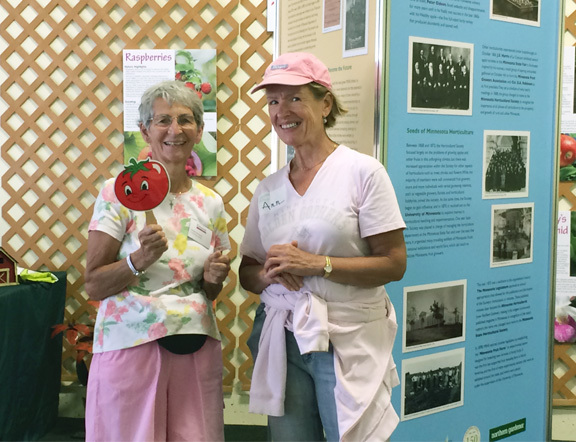 MSHS depends on its volunteers to make our presence at the Minnesota State Fair a success. Visit the Volunteer Page to learn more. 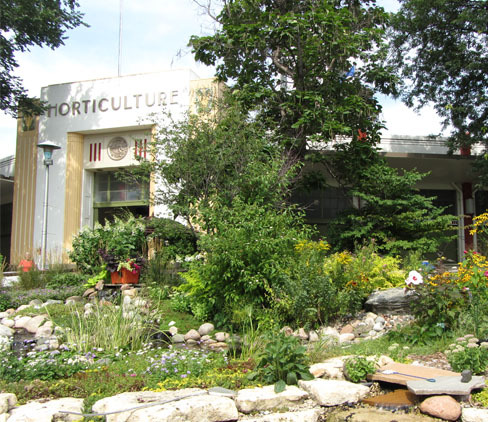 Make sure and stop by the Agriculture/Horticulture building to see the Minnesota State Horticultural Society Adopt-a-Garden. This late summer garden peaks during the fair. It is home to a waterfall feeding two streams that end in a central pond. Some of the plant material in the garden changes every year. It includes late summer blooming perennials and annuals that provide color up to frost. Many thanks to the volunteers who have helped us with the garden! 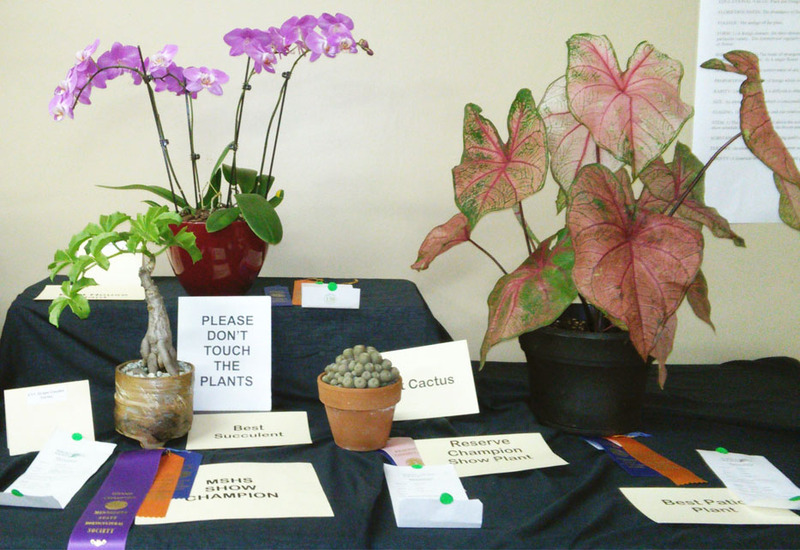 Minnesota State Horticultural Society Potted Plant Show—August 23 and 24, Agriculture/Horticulture Building. A long-standing tradition of MSHS, this show features unique and unusual plant collections along with a large variety of houseplants, hanging baskets, vines, dish gardens, herb containers, and terrariums. We are always looking for entries and would like to encourage you to enter; plant societies and garden centers are welcome to do a special display. We welcome amateur exhibitors of all ages. This show is not to be missed! For more information, download the MSHS Potted Plant Show Schedule which includes show rules, and much more. Call MSHS at 651-643-3601. Or visit the Minnesota State Fair website.